When you make creamed spinach in the slow cooker, it has all the same rich creaminess you get with the regular recipe, but it is so simple to make. This recipe takes only about 10 minutes of active prep time to prepare. If you're in a rush, you can cook this spinach on high. It'll take anywhere for 1 to 3 hours, depending on how hot your slow cooker gets. Serve as a side with everything from beef to pork to chicken. 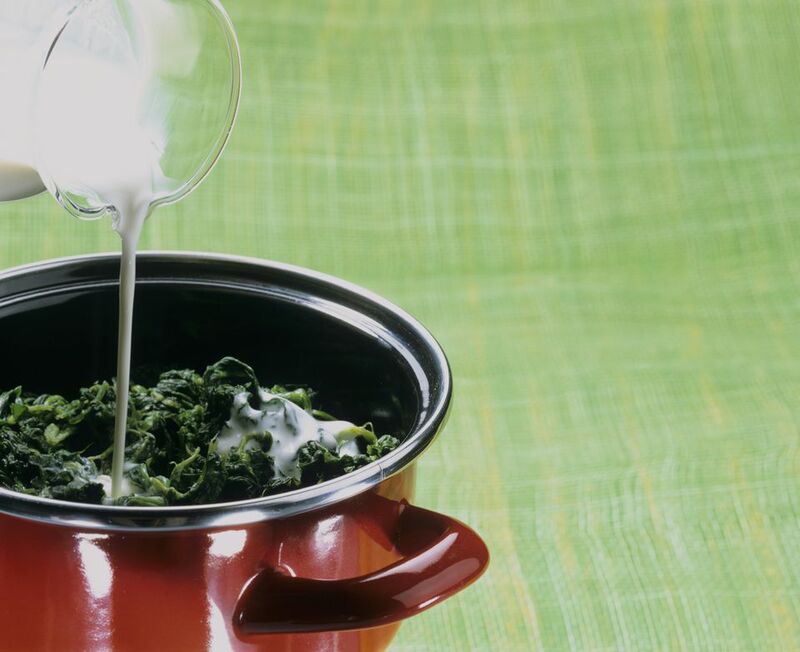 Sometimes, I even serve this creamed spinach as a sauce tossed with spaghetti or linguine. Grate a little more parmesan cheese over the top, and you've got a complete meal. Combine all of the ingredients, except the parmesan cheese in the slow cooker. Stir well. Sprinkle the parmesan cheese over top. Cover, and cook on low for 4 to 6 hours, stirring halfway through. Or cook on high for 1 to 3 hours.